Emily Lloyd is Cookie Voltecki, a streetwise Brookyln girl with a passion for jewellery, bubble gum and all-night parties. Peter Falk is her father, convicted labour racketeer Dino Capisco, recently released after 13yrs in Federal Prison. Dino is now determined to get his share of the money amassed from past criminal exploits with his partners. 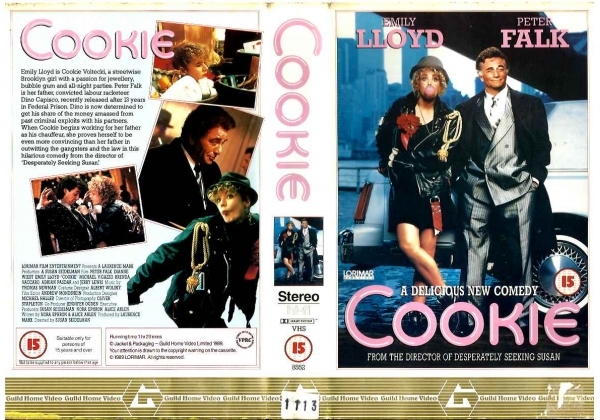 Or find "Cookie" on VHS and DVD / BluRay at Amazon.